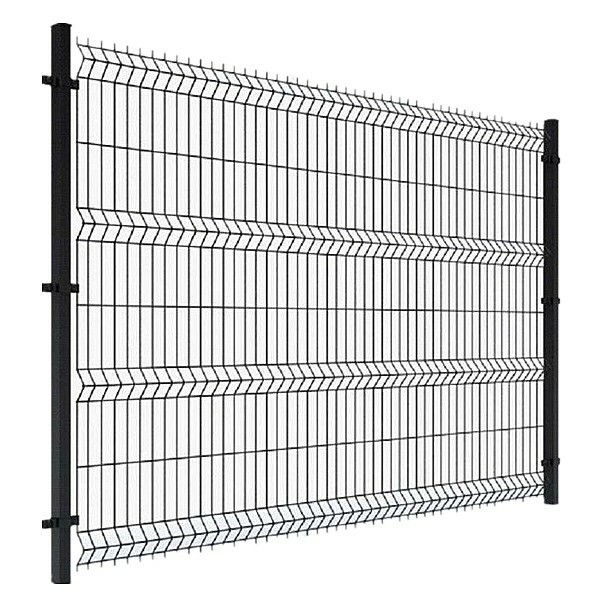 ﻿ Welded Wire Fence - Welded Wire Mesh - Anping County Zhuoda Hardware Mesh Co., Ltd.
Weled wire fence is a Fencing System Complete Set, including panels, posts and fixing accessories that meets all customer requirements for different levels of protection. Fencing System offers great security, strength, and guarantee for long-lasting and attractive appearance. In fact, the field of application of the Fencing System is literally in all areas of life. Zhuoda is a universal solution when a fence is needed - of houses and villas, of manufacturing and business centres, of playgrounds, of airports and military zones. Some of the main advantages of the Fencing System are: strength, durability, easy installation and extremely beneficial quality /price ratio. Made of solid transverse carbon wires, 4.0mm thickness (vertical/horizontal wires). Height: from 1030 mm to 2530 mm, 2 to 4 longitudinal folds to increase rigidity and improve the aesthetic appearance of the fence. HDG Model - Panels are made of pre-hot-dipped galvanized profiles and wires. HDG Plus Model - Panels are made of black wires as the procedure of galvanizing after welding makes the coating of finished panels superior in terms of level of corrosion protection compared to the HDG Model. PC Model - Panels and posts are made of pre-hot-dipped galvanized profiles and wires and then various colours are applied by using powder painting. Coating provides an increased level of corrosion protection and a better aesthetic appearance.